A variety of non-surgical cosmetic treatment is available from our Newport Beach plastic surgeon. At our state-of-the-art practice, you can take advantage of effective skin rejuvenation procedures such as BOTOX® Cosmetic, JUVÉDERM®, laser resurfacing, at-home skin care products, and more. Contact Dr. Semira Bayati for more information on our non-surgical aesthetic enhancement options. CoolSculpting® is an innovative procedure designed to reduce pockets of stubborn excess fat in specific body areas without the need for surgery. This innovative liposuction alternative utilizes a technique that requires no needles, no incisions, and no downtime. Laser skin rejuvenation offers an advanced way to improve an array of skin conditions without invasive surgery. Signs of age, areas of undesired hair, leg veins, scarring, stretch marks, and skin damage can all be addressed with laser skin treatments. One of the most popular cosmetic skin enhancements in use today is BOTOX® Cosmetic, an effective method of facial rejuvenation. BOTOX® injections reduce the appearance of wrinkles and frown lines, giving the face a more youthful, refreshed look. Injectable dermal fillers such as JUVÉDERM®, Restylane®, and RADIESSE® can not only significantly reduce the appearance of wrinkles and creases in the face, they can also add volume to facial features such as the lips. Plus, results are typically long-lasting and the procedure can often be completed in under 30 minutes. Crow’s feet, frown lines, and other signs of age can be beautifully smoothed away with XEOMIN®. This cosmetic injectable option can be considered a “lunchtime” procedure – it typically takes only 15 to 30 minutes to complete and most patients are able to get right back to work or other daily routines immediately following treatment. Wrinkles, uneven pigmentation, and other skin conditions are often caused by everyday pollutants invading our skin and breaking down healthy skin cells. HydraFacial MD® is a state-of-the-art skin renewal technique which utilizes vitamin-rich serums to replace dead skin cells with moisture and antioxidants, helping to purify the skin and encourage healthy skin growth. Dr. Bayati offers a range of advanced treatment techniques, including Platelet Rich Plasma Therapy and Formula 82M, for both women and men affected by hair loss. These options are designed to restore hair without invasive surgery. The SkinPen® Microneedling is a microneedling technique that can be very effective for stimulating collagen and creating a more youthful appearance. Microneedling can be used to restore elasticity and smoothness to the skin, as well as for hair restoration and stretch mark treatment. Dr. Bayati offers a number of effective skin care treatments, such as laser skin resurfacing, microdermabrasion, and Obagi™ Blue Peels, to improve the appearance of your skin and bring out healthy skin layers. Top-of-the-line skin care products such as La Roche Posay®/Biomedic and Obagi® are available from Dr. Bayati. These products can help you take great care of your skin from your own home. Improvement of mild to moderate signs of skin laxity around certain facial features may not always require surgical intervention. 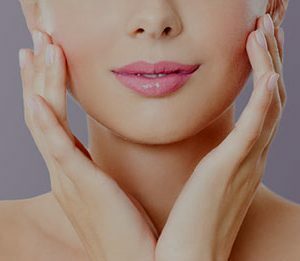 The PRP (Platelet Rich Plasma) Facial is designed to use the Platelet Rich Plasma (PRP) in your own blood to renew the cells in your facial skin. This unique procedure can increase production of new collagen, stimulate stem cells, and ultimately work to reduce wrinkles and other signs of age. One of the most advanced laser treatment technologies available, the SmartSkin™ CO2 Laser Skin Resurfacing procedure can reduce signs of wrinkles, age spots, and sun damage while giving the skin a smoother, more youthful tone and texture. Many patients achieve beautiful results after just one treatment, and extensive recovery time is not typically necessary. Are you about to attend a wedding, party, or other special event? Take advantage of our convenient Mobile Makeup services! Our certified makeup artist, Johanna Amaya, can take the hassle out of traveling to a salon by coming directly to your home, giving you one less thing to worry about before heading to an important social function.